Her tweets imply Democratic members’ support of Israel through lobbyist donations. The American Israel Public Affairs Committee, a pro-Israel lobby, does in fact gain financial incentives from Democratic members. Although it was a grave generalization on her part in asserting that the US-Israel alliance is based solely on money, I do not feel that her comments were anti-semitic in nature. Antisemitism is defined as a prejudice of Jews, yet congresswoman Omar has proven to be an advocate for diversity. 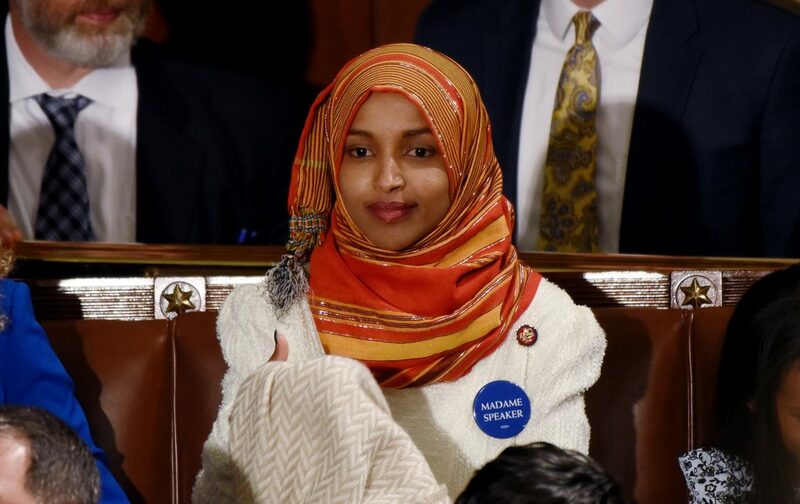 She is the first Somali-American Muslim Congresswoman and has been attacked for her identity, facing the double standard that Trump and even McCarthy himself were not held to for their comments in the past. By pointing out the exceedingly influential and problematic role lobbyists play in our governmental institutions, Omar’s intentions are clear, however, she acknowledged how her words may have come across, and so she apologized out of decency and respect for her party members and people who felt that her comments had anti-semitic tropes. In doing so, she listened to her party members and issued an apology that acknowledges the voices of others. She did not succumb to attacks on her own identity as a Somali-American in an increasingly Islamophobic administration. Although I do not believe that Congresswoman Omar, in supporting the BDS movement and advocating for the end of occupation by Israel, is anti-semitic, I do believe that party members had the right to voice their concerns over her comments. Drawing from this, Omar’s critique of the state of Israel should not be generalized as prejudice towards Jews, because the state and civilians of the state should not be equated. It is important to acknowledge a history of antisemitism, but how is silencing any critique of the state creating equal discourse? What we see is one-sided discourse, and both Tlaib and Omar have attempted to have voices in a debate where pro-Palestinian dissenters are often excluded as anti-semitic when this is not the case. In conflating anti-Zionism with anti-semitism, opponents of the women have fundamentally defined how discourse about Palestine and Israel should follow. With diversity in congress, we can not expect homogenous opinions and debates, and in silencing any critique of the state of Israel, there is only the deflecting of voices that belong in this conversation.